Good Propertysubmitted by Tracy B. 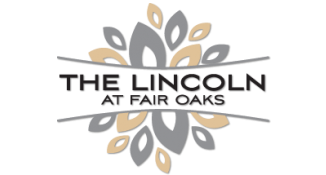 - Sep 04, 2018 |Recommended: YesThe Lincoln is a good place to live if you want a quiet community. Parking can sometimes be a little bit difficult and if you want to have a guest to spend the night for a couple days you need to go every day to get a new parking pass. The walls are crooked so if you don't hang something with command strips it ends up crooked very quickly but over all everything else is fine. The maintenance people are great they are friendly and are quick to fix things that need to be fixed. The staff depends on who you speak with and how busy they are. Mostly they are awesome. Over all this is a good place to live if you want a quiet community we don't hear our neighbors, unless they are playing their music really loudly. Very accomodating staffsubmitted by Kyle W. - Jul 02, 2018 |Recommended: YesParking is limited even during off peak times. Maintenance is helpful and friendly. Air conditioning struggles on very hot days. A nice area to live.submitted by Euijin K. - May 17, 2018 |Recommended: YesMy sisters and I moved to The Lincoln a little while ago, and have thus far enjoyed living here. We find the location convenient for our needs and the staff pleasant. We have one very minor maintenance issue that is taking a long time to get resolved, but it's inconsequential enough that it doesn't effect our daily living. There are no ceiling lights in the bedrooms, which was something I found inconvenient, but certainly not a deal breaker. We are concerned about noise--we live on the top floor so we are personally not affected by this issue, but we have gotten a complaint from former tenants who lived beneath us that just the act of walking normally in our apartment made so much noise that they found the situation unlivable. We have taken steps to rectify this such as walking lightly and buying very soft slippers to wear indoors. They moved suddenly one day, so I don't how effective our attempts were, but the floors seem to be very thin. response from property - May 18, 2018 Thank you for your review. Yvette W.
Property was good overallsubmitted by Mallory L. - Aug 09, 2017 |Recommended: YesProperty was good overall. Apartment itself was very nice. Only complaint is that if you get back after 10PM there's no parking. My wife and I love living heresubmitted by Kathleen H. - Aug 02, 2017 |Recommended: YesWe think it's a great place to live because its in a great location, the staff is very helpful and the apartments are gorgeous. Something that stood out to us both was how the staff recognize us as soon as we moved in and anytime I call they know the apartment we are in before I tell them. We have been here since April and so far our experience has been great. Maintenance reviewsubmitted by Murch K. - Jul 02, 2017 |Recommended: YesAs always after I requested service, the maintenance techs were there rapidly. Great Place to livesubmitted by Jamie C. - Apr 20, 2017 |Recommended: YesI love living here, it's close to so many places to shop, eat and even to the local school. The staff is super friendly, there are fun events to attend and the grounds are well tended. I only have two complaints. One is how clearly i can hear the neighbors above us practicing what i can only assume to be bowling, gymnastics or for the WWE in the evenings and late night early morning hours. The other is occasionally there are tenants that park in the visitors spots so we've had to park over at the movie theater and drive back with them. Other than that - it's great. response from property - Feb 16, 2017 Hi Katie! Thank you for taking the time to leave us a review, and better yet a great one! We are very appreciative of that and so happy to hear you are loving living here! Please let us know if we can help with anything! Thanks! Sarah Bostic, Resident Manager.